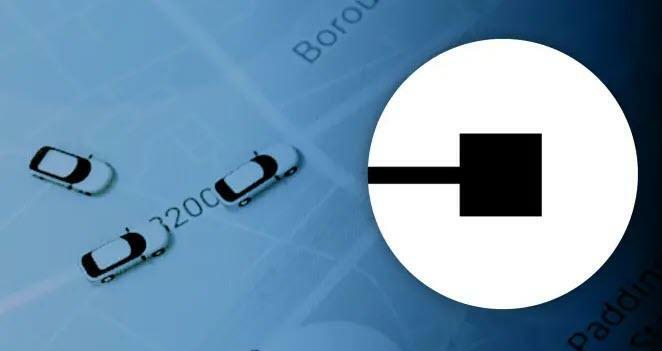 Ahead of the start of its investor roadshow on April 29 (and plans to list its shares on the New York Stock Exchange on May 10), Uber has issued its first public filing, providing details on the financials of the ride-hailing app. The decade-old US car-booking company is aiming to raise $10bn and recently told holders of its convertible debt that it could be valued at $90bn to $100bn, according to people familiar with the matter. It was last valued at $76bn in a private fundraising in August. 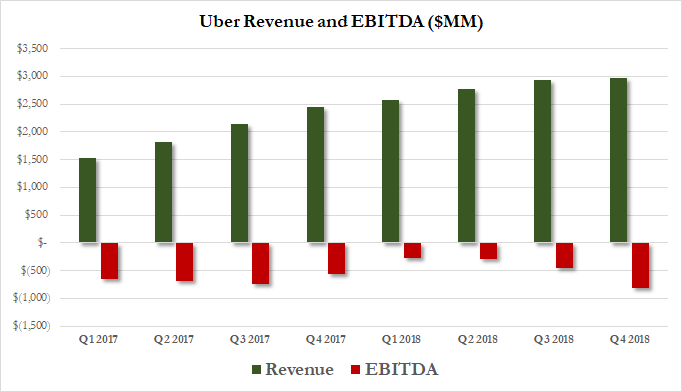 However, CEO Dara Khosrowshahi has a, well, "uber-sized" financial incentive to do everything he can to push the company's valuation higher, and ensure that Uber doesn't replicate the post-IPO slump of its rival Lyft. He and at least four other executives at the company have an incentive package that won’t vest until the company reaches a $120 billion valuation, a number that represented the upper end of its underwriters' initial valuation estimates. "Adjusted EBITDA has declined in recent periods primarily due to reduced Core Platform Contribution Profit (Loss) and investments in our Other Bets segment. We expect Adjusted EBITDA losses to increase in the future"
"We have incurred significant losses since inception, including in the United States and other major markets. We expect our operating expenses to increase significantly in the foreseeable future, and we may not achieve profitability,"
Uber's filing names a whopping 29 banks underwriting the IPO. Morgan Stanley and Goldman Sachs are leading the listing on behalf of this crowded syndicate. 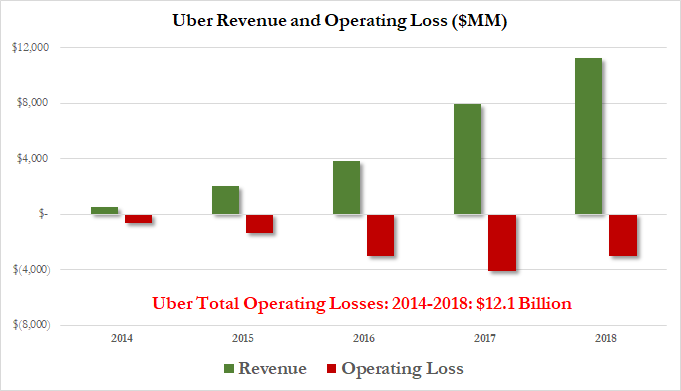 Uber states that as of the end of last year the company had a $7.9 billion accumulated deficit. "We anticipate that we will continue to incur losses in the near term as a result of expected substantial increases in our operating expenses, as we continue to invest in order to: increase the number of Drivers, consumers, restaurants, shippers, and carriers using our platform through incentives, discounts, and promotions; expand within existing or into new markets; increase our research and development expenses; invest in ATG and Other Technology Programs; expand marketing channels and operations; hire additional employees; and add new products and offerings to our platform."